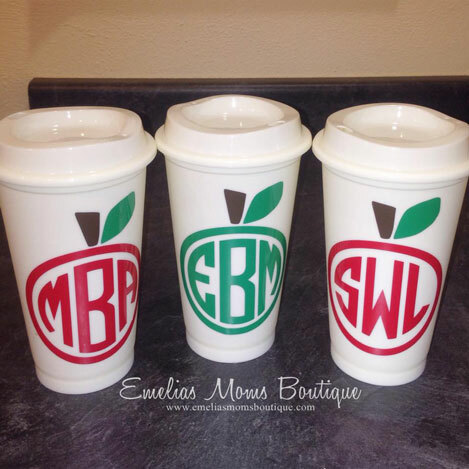 Teacher Appreciation Coffee Tumblers, personalized with apple monogram. Sip your hot/cold drinks in style with these adorable and preppy 16oz Coffee Tumblers. This listing is for (1) coffee tumbler in the design you choose. The designs are in order from left to right. If you are wanting a design you don't see, please contact us. We offer custom designs at no extra charge.